I am sucker for a good warm toned palette so I was super excited to try this out but it took me a few tries before I got the hang of it. Maybe it is just me but I noticed that the matte colors that are placed next to each other blended out too similarly when I tried using them together on my complexion. (i.e Sauced + Lowblow or En Fuego + Ashes.) 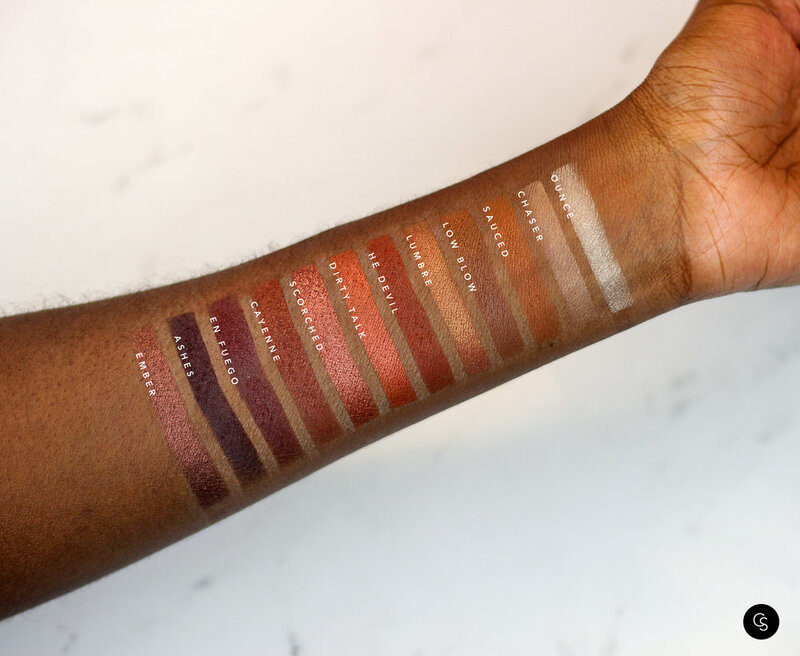 If you are a beginner to eye shadow, I would recommend starting off by pairing the matte shadows from different color families and adding a shimmer on top(if that makes any sense.) It's also important to note that $54 is a little on the pricey end, but the packaging is to die for and you get a mirror and a dual ended brush. I also wish this palette included a matte brown!